Zoology provides a deep understanding of the structure, behaviour and evolution of animals by using molecular and systems biology approach. It has wide applications in environment, industry, pharmacology, forensic as well as clinical sciences. 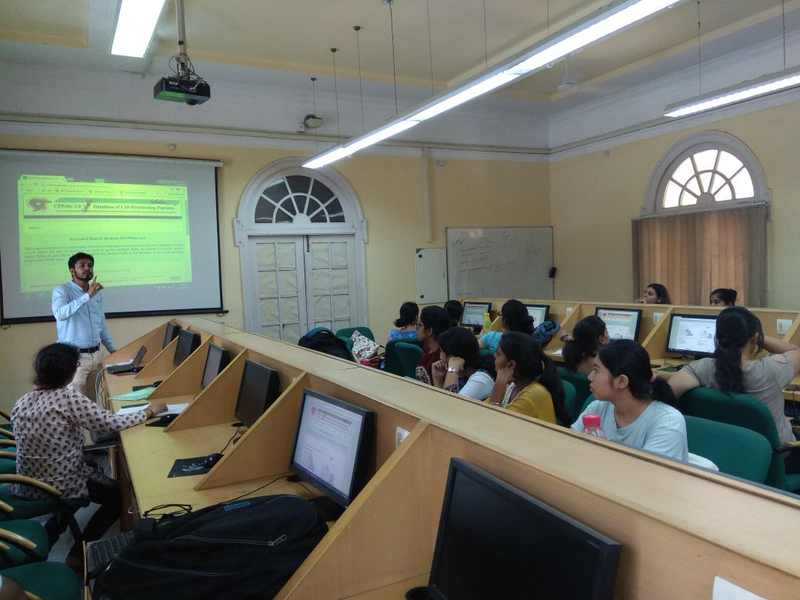 The Department runs two add-on courses Medical Biotechnology, and Bioinformatics and in silico Medicine which introduce students to the current concepts, practices and goals of the respective disciplines. 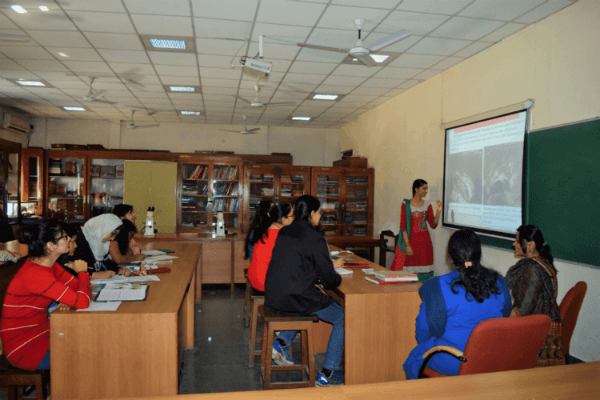 Interested students can also do in-house research projects at the DS Kothari Centre for Research and Innovation in Science Education being run at the college. The Department Society Synapse organizes a number of academic activities such as lectures by esteemed scientists, debates, quizzes and visits to various institutions, Zoological parks and other sites. The Society also publishes its annual magazine Evolvere The unfolding, which incorporates creatively written articles from students and teachers. The Department also receives grants under DBT State College Scheme and is involved with University of Delhi Innovation and Star Innovation Projects. Faculty has research grants from various funding agencies such as DST, DBT, ICMR and UGC. During the past five years, a total funding of three crores has been received by the department for doing research. 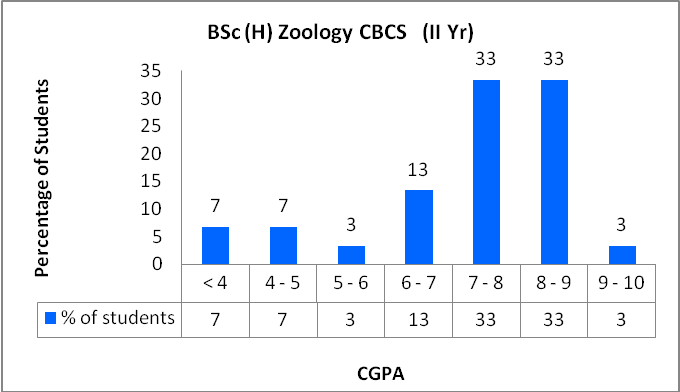 In recent years, the study of both Core and Applied Zoology has evoked world-wide interest in students, researchers and the industry. 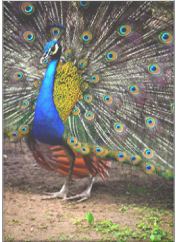 The knowledge of animal form and function finds applications in myriads of exciting and innovative ways. From measures to conserve biodiversity, formulate ecological safeguards, apply biotechnology, bioinformatics and conformational biology to the biomedical and pharmaceutical sciences, improve the industries of dairy, poultry, sericulture and aquaculture, to the design of exploratory vehicles for other planets and the "mouse" you are clicking....the horizons of Zoology are expanding continuously. 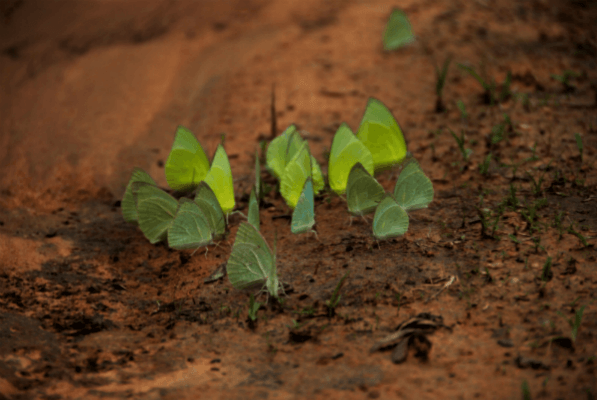 The revision of the Zoology Honours Course and restructuring of the B.Sc. 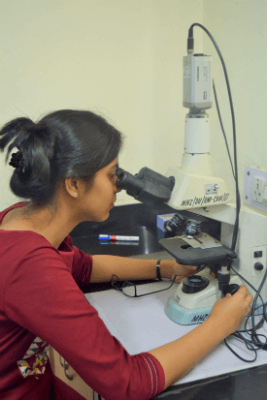 Life Sciences programmes have been aimed at enabling students to acquire the out-of-the-box thinking and technical skills that are needed to excel in today' multi-faceted science of Zoology. Department has adopted blended teaching learning approach along with the implementation of several innovative teaching-learning strategies. E-Museum has been created by digitization of specimens, histological section and cell Biology slides through imaging system. 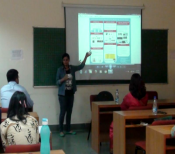 Usage of web portal and online as well as offline software is an integral part of the curriculum e.g. Phylip, Primer, MEGA, BLAST and Clustal W. Active learning strategies such as peer review, group discussions, book reviews, paper presentations, assignments and E-posters are emphasized. Learning in the field is accomplished through field based research projects on topics like environmental microbiology and Limnology. Educational excursions to conservation sites in Delhi and NCR such as Aravali Biodiversity Park, Yamuna Biodiversity Park and National Zoological Park, is an integral part of student's learning regime. Motivational Talks are organized under various student enrichment programmes to facilitate interaction of students with eminent scientists. Students are also encouraged to attend special lecture series such as Cell Press-TNQ India Distinguished Lecture series. 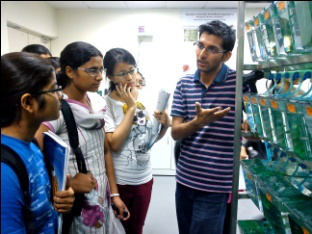 Every year, Bridge Course on Laboratory Instrumentation: Principle, Usage and Applications, is organized for first year students to acquaint them with the instruments, techniques and bio-safety protocols to be followed in the lab. Seminars, Workshops and Training Programmes: Organized on diverse themes such as Drug Designing, Immunology, Drosophila, Biotechnology, and Biostatistics etc. under different student enrichment schemes such as DBT Star College Scheme and DSKC. 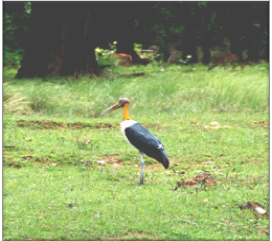 Field Trips: Organized to conservation sites such as Aravalli Biodiversity Park, Asola Wildlife Sanctuary to make students learn how ecological conservation can restore the environment back to its original glory. Student's results have been exceptionally good, and the numbers of students scoring high grades have increased significantly over the years. During the session 2016-17, 50% of the top 10 rankers, Delhi University were from the Department. This year three of our students have gone to pursue their post graduation from renowned international universities namely, Imperial College of London, University of Nottingham, UK and University of Bristol, England. 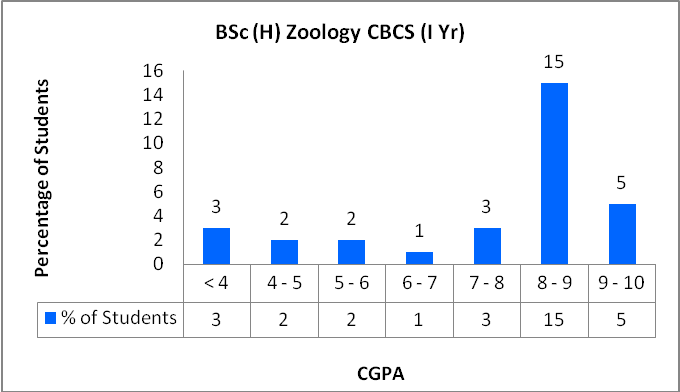 In the odd semester 2016, 74% students of first year and 73% students of second year Zoology (Hons) have obtained greater than 7 grade points in CBCS. 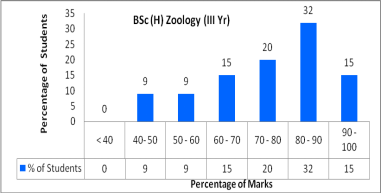 For third year Zoology (Hons), 64% students have obtained greater than 70% marks in TYUP. Faculty of Department of Zoology has received several awards and recognition both at the national as well as international forums. Dr. Nisha Vashishta and Dr. Sadhna Sharma received Australian Leadership Awards Fellowships (ALAF) by AUSAID, University of Sydney, Australia in April, 2013. Dr. Rekha Kumari received several awards including DST BOYSCAST fellowship award (2009); DU Faculty Training Program (FTP) fellowship for M.Sc. Bioinformatics from University of Edinburgh, Edinburgh, UK (2011); Visiting Scientist to Germany under INSA-DFG Bilateral Exchange Programme (2011-2012); DST-DAAD personal Exchange Program fellowship at University of Kaiserslautern, Germany (2001). Dr. Jyoti Arora and Dr. Rekha Kumari received Teaching Excellence Award for Innovation project MH-203 by University of Delhi (2015); and Certificate for appreciation for Best Innovative Idea and Best Display Award for Innovation Project MH-203 under Theme-Scientific Arena at Antardwani, Academic and Cultural Festival of University of Delhi, 2015. Dr. Sadhna was awarded Australia-India Council - Post-Doctoral Biotechnology Fellowship by Australian National University (2004); UGC International Travel Grant For `Drug Discovery and Therapy World Congress', USA (2015). Dr. Sadhna delivered Session Lecture on "In Silico Identification of Promiscuous CTL Epitopes of MymA Operon Proteins of Mycobacterium tuberculosis for a Epitope-Based Vaccine Design" at Drug Discovery and Therapy World Congress, USA (2015). Dr. Monika Sharma received travel grant from UGC for oral presentation at 18th annual conference on Vaccine Research, Bethesda, USA in 2015. Dr. Simran Jit attended six months research training in 2010 at Swiss Federal Institute for Environmental Science and Technology (EAWAG), Switzerland in the project entitled 'Environmental Risk and Bioremediation of Hexachlorocyclohexane Isomers' under Indo-Swiss Collaboration in Biotechnology (ISCB). Students of Zoology from Miranda House have continued higher studies and research in prestigious Indian institutions like NCBS, NII, IGEB, ACBR, IISc, IIT, AIIMS, DU and Biocon Labs, and in Universities abroad. Department alumni include lecturers in Colleges of Delhi University and teachers in top Delhi Schools. The basic discipline, confidence and training that the students have acquired here, has also enabled a significant number to successfully diversify into Pharma and Healthcare services, Anthropology, IAS/IFS, MBA, print and audio-visual Media, and Law. Prof. R. Madhubala, Jawaharlal Nehru University. Prof. Shashibala Singh, Former Director, Defence Institute of Physiology and Allied Sciences. Prof. Apurva Sarin, Professor, National Centre for Biological Sciences. Prof. Neeta Sehgal, Former Head, Department of Zoology, University of Delhi. Prof. Renu Saxena, Professor and Head, Department of Hematology, AIIMS. Dr. Unnati Ahluwalia, Academic Coordinator, UGC-CEC. Dr. Lakshmi Bhagat, Principal Scientist, Idera Pharmaceuticals. Ms. Pratima Singh, Indian Post and Telecommunication accounts and Finance service, Government of India.